Stunning, distinguished and dramatically beautiful. Blow right past quaint and go straight to stunning. 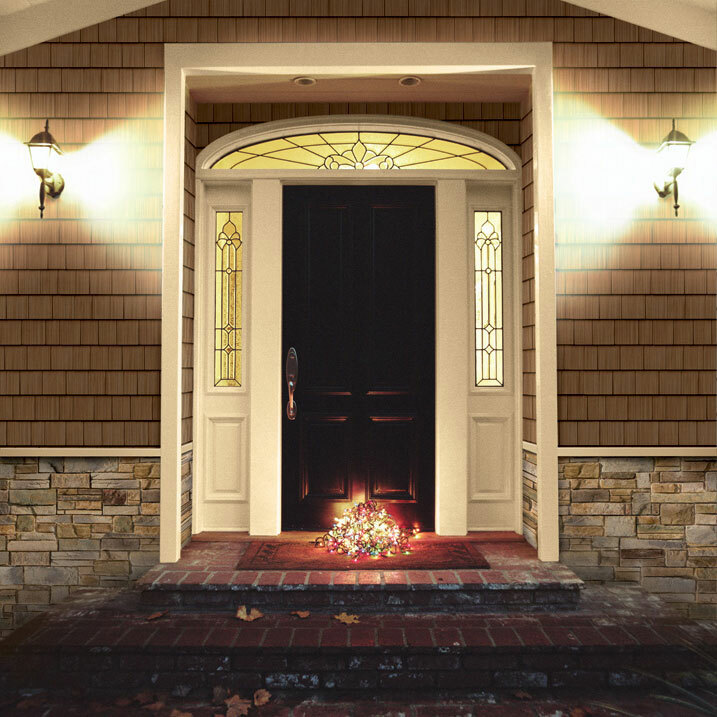 Though technically described as “classic,” our high-beauty, low-maintenance Portsmouth™ Cedar Shingles siding ensures “Welcome home” never gets old—whether as a full exterior or a complementary element. Combine this classic shingle style with other materials such as stone and clapboard for a change of design pace and some extra eye candy. Long on warmth and beauty, our Portsmouth™ 8′ Single 7″ Cedar Shingles siding gives you a seamless look that catches every light and shadow, if you like that sort of thing. Its added length means faster installation and quicker cleanup. 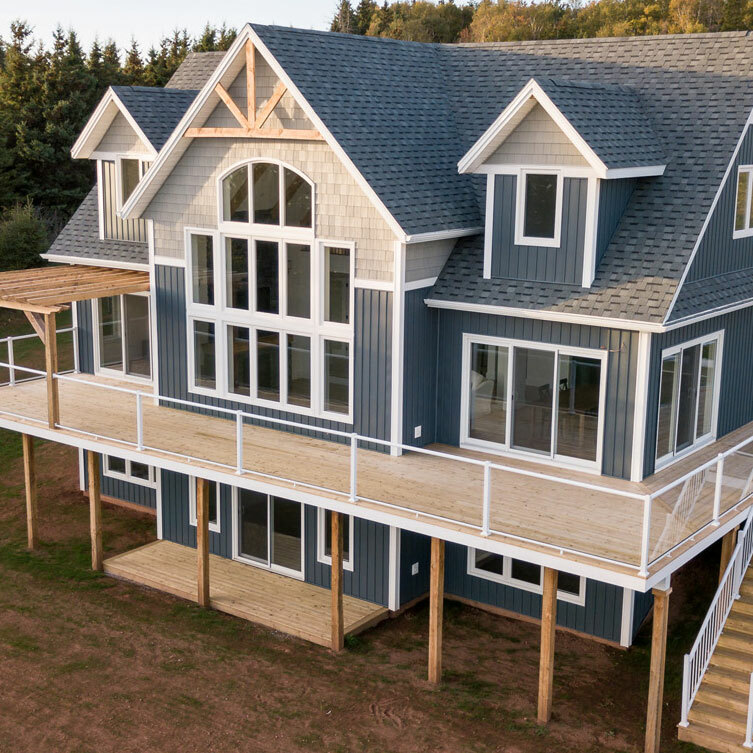 Plus 8′ Cedar Shingles siding has a uniquely rich character and grain that look amazing and it leaves less space for weather and pests to penetrate. Fewer pieces also make for a simpler, quicker and more economical installation. That’s beautiful too. Add rustic dimension to your home with Portsmouth™ Hand-Split Shake—for an unmistakable “I carved this house out of the woods myself” look. The richly ingrained texture comes in 14 colors—all of which mock the harshest winds and smile back at the sun without fading. Make our Hand-Split Shake the featured exterior on your home or use it in a supporting role to add a dramatic facet to your existing siding. 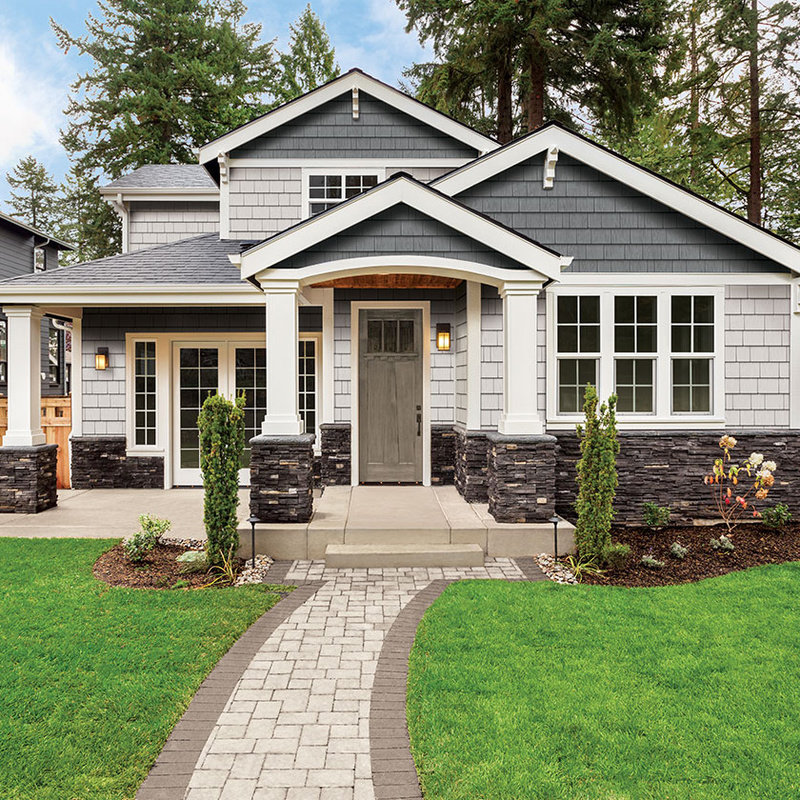 Apply just the right detail to your home exterior and you’ll raise cottage-like elegance to a new high. 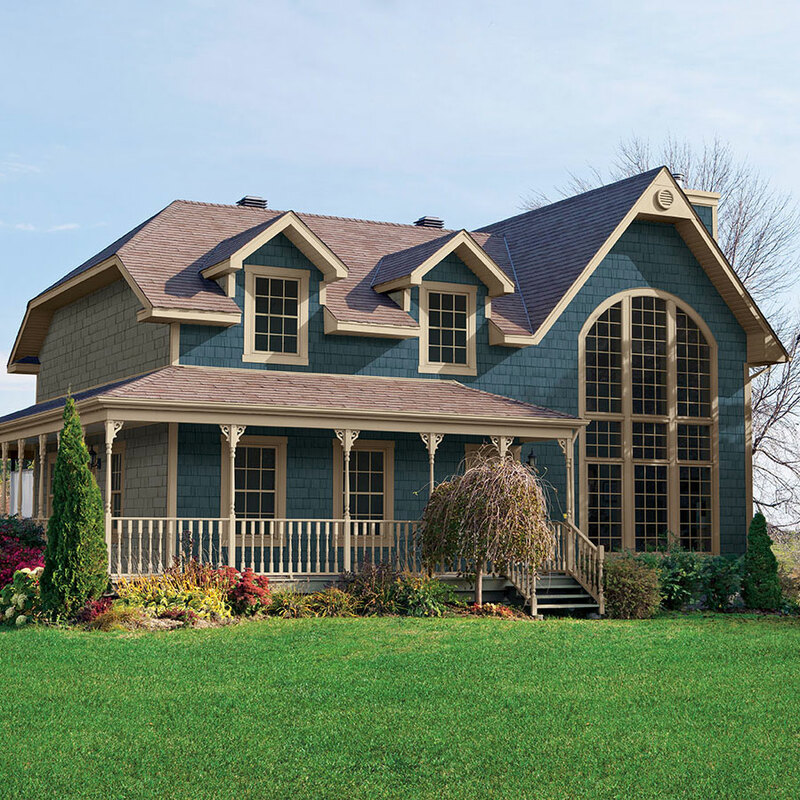 That detail would be Royal’s low-maintenance Portsmouth™ Half Round siding. Use it in your gable area to distinguish your home from the also-rans and the almost-charmings. 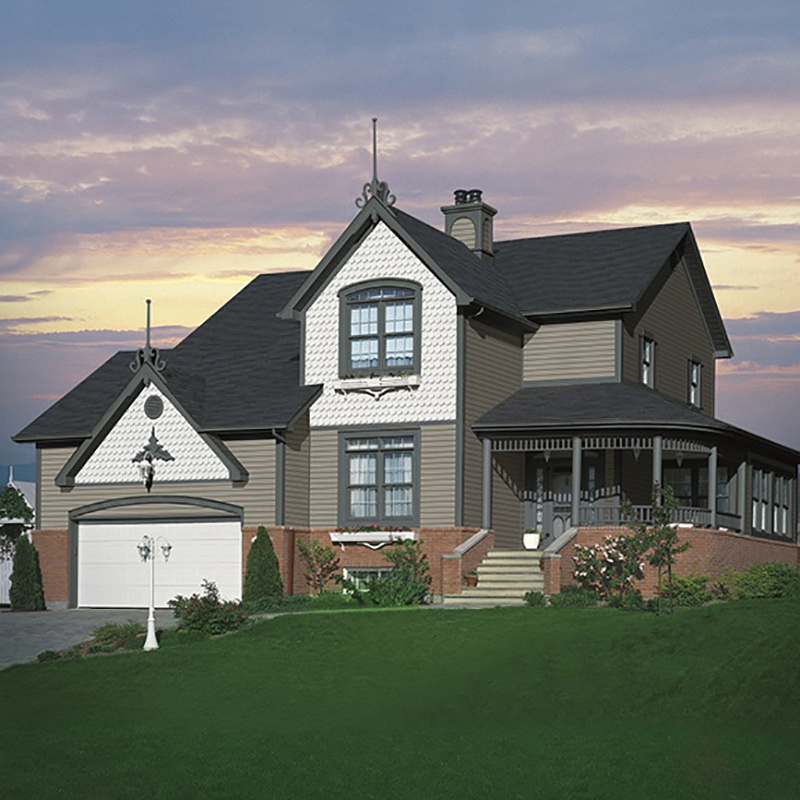 Bring that Victorian elegance down to charming earth by pairing our Half Rounds with our Perfection Shingles. Who says simple can’t stand out? Have you always dreamed of having a charming New England coastal cottage? How about the exterior of one? 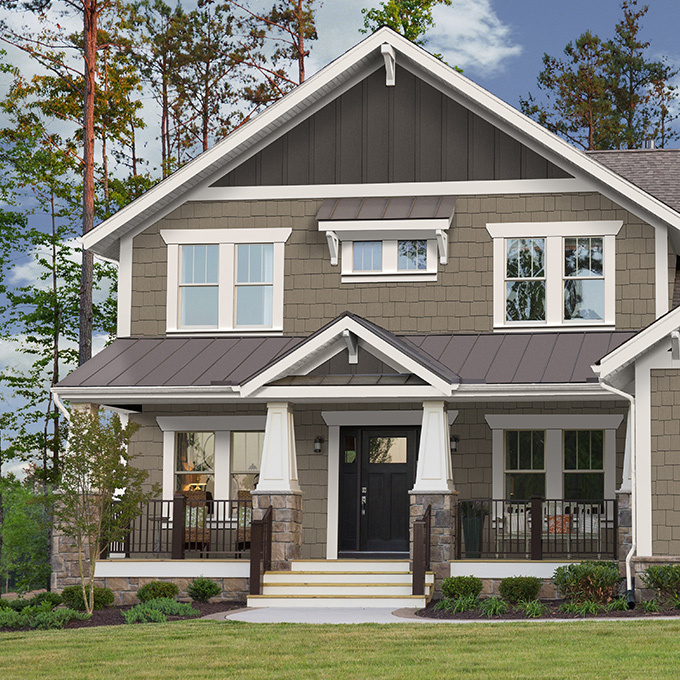 You’ll love the subtle grains and gently defined shadow lines of our Portsmouth™ D5″ Shingle siding. You’ll also have time to admire it, because unlike wood there is nothing to paint, scrape or stain. If you’re ready to bring a bit of drama and dimension to your home exterior, Portsmouth™ Staggered Edge Shingles’ varied design is perfect. It ties together gables and other elements of your exterior and makes for a dramatic contrast when sharing the stage with stone and clapboard.